The donor intends the money to be used for Dow Wright's S.S. class. 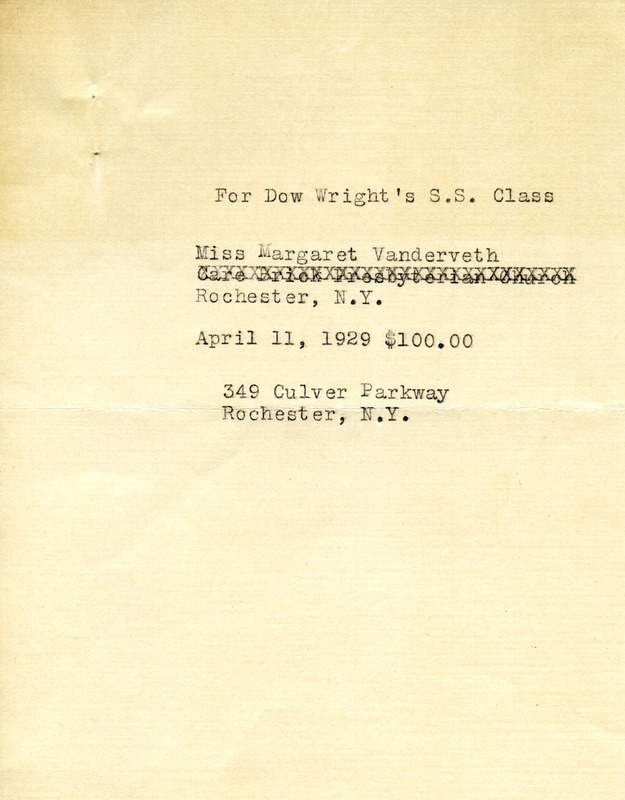 Miss Margaret Vanderveth, “Donation to the Berry Schools from Margaret Vanderveth.” Martha Berry Digital Archive. Eds. Schlitz, Stephanie A., Rachel Renaud, Meg Ratliff, et al. Mount Berry: Berry College, 2012. accessed April 22, 2019, https://mbda.berry.edu/items/show/9929.